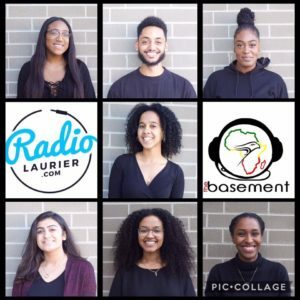 The Basement had its second show of the year last night, where our wonderfully crafted team touched on some sticky issues that we have been itching to discuss. Needless to say, our audience was delightfully engaged! But first we want to give a huge Golden Hawk shout-out to our lovely DJ Marium who celebrated her 19th birthday this past weekend. Shots on me! Our first topic of the show came just in time for Halloween and the idea of cultural appropriation on this highly anticipated weekend. Aside from the basic cat and night nurse costumes that plague the streets of Halloween yearly, our team wanted to stress the exhausting but necessary issue of crossing some serious boundaries. It seems like no matter how many times issues of cultural appropriation are addressed, there are always those groups of people that LOVE to play it off as all fun and games. To put is simply, blackface? Just don’t do it! Thinking of painting the town red with your sombreros and taco fits? I beg you not too. While it may be all fun and games to you, it is HIGHLY offensive to those that have been ridiculed and disrespected for being apart of unique cultures. The show then moved on to discuss the topic of Roommates. Our team told the world everything from the good, the bad and the ugly. Our crew members Abdul and Brianna shared some of their funny stories on their past and current experiences with roommates. Some words of advice on roommates is too just have patience. When you are living with people that do not come from the same cultural background as you, things could take a turn for the worst. Or who knows you may find some of your best friends in those same roommates, but PATIENCE is key; unless they eat your food… then you have permission to go awf! 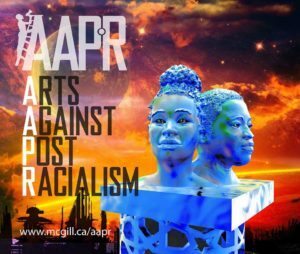 After another quick music break, the show returned with a very important phone call from Dr. Philip Howard and the Arts Against Post-Racialism (AARP) initiative that fortunately will be held at Laurier this coming Friday October 27th. Be sure to check out the various art displays that will be situated all around campus. This is a highly anticipated event and is sure to peak your interest, so don’t miss out! After another poppin music break, the discussion returned to topic of Interracial dating within the black community. One argument that came up was how it is looked upon within the black community and the social implications behind it. While some of our crew members felt very open-minded to the concept of interracial dating, others were content with finding love within their own race. None the less we could all agree the LOVE WINS! The discussion continued after our Caribbean and Afrobeat influenced track-list with our final discussion on Tinder. This hilarious discussion took our audience on the delightful journey of the good, the bad and the ugly with this social app and its many features. In the end, our team gave their final shout-outs and goodbyes for the week. Thanks for tuning lovelies, the love and support is greatly appreciated and never goes unnoticed. Always remember, stay real folks! In case you missed it … Ep. 2 Recap!